This pretty doll is a thoughtful gift that any little girl would treasure. 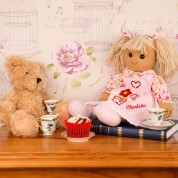 It is a very popular gift for girls for their birthday, christening, Christmas or any other special occasion. 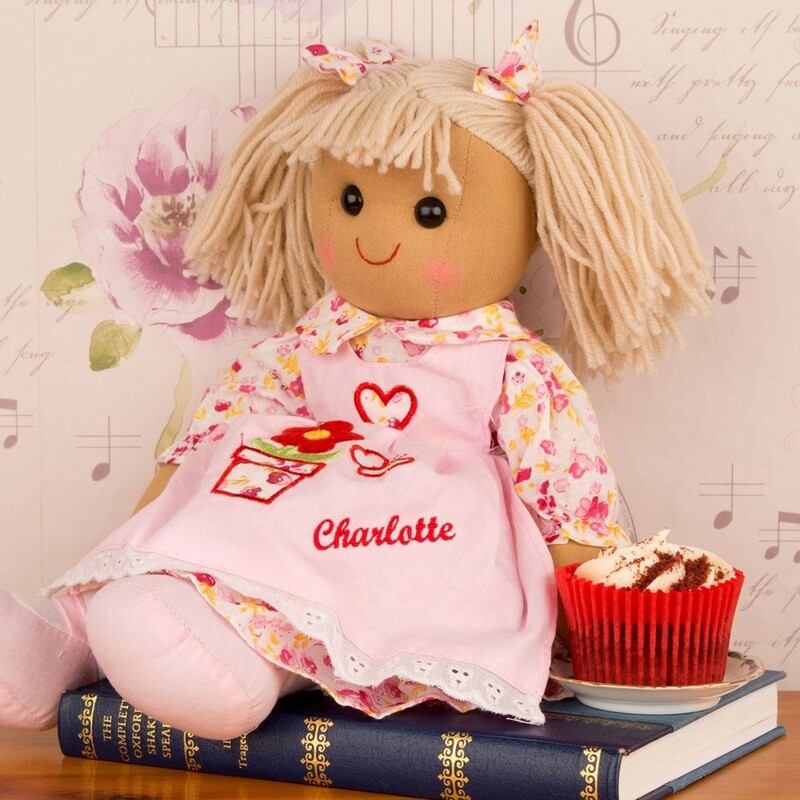 Any girl will become quite attached to their personal doll and want to carry it around with them daily and might even take it to bed with them at night. It will be a nice addition to their bedroom and could sit propped up on a book shelf or on top of a chest of drawers set. 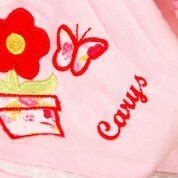 This gift is embroidered in house with the girls first name.